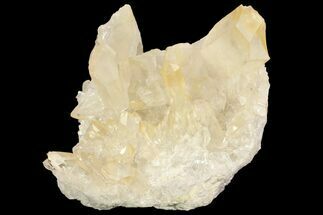 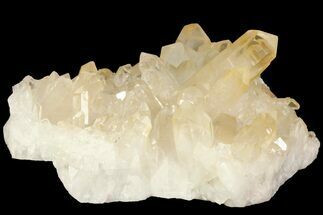 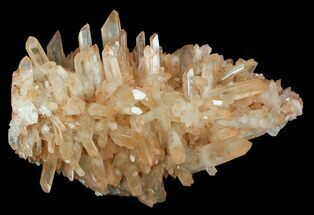 This is a beautiful, high quality cluster of "tangerine" quartz crystals on granite, from Madagascar. 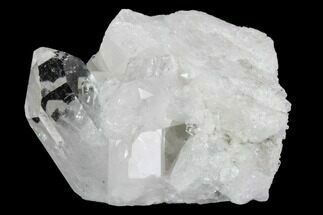 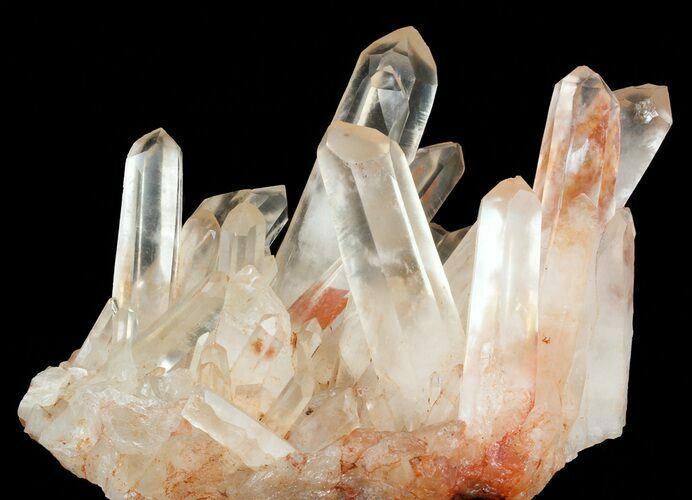 The longest crystal is 3.9", with nice defined tips on these large crystals. 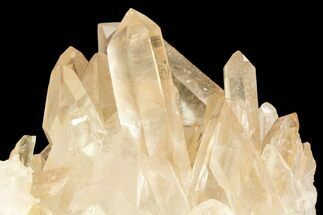 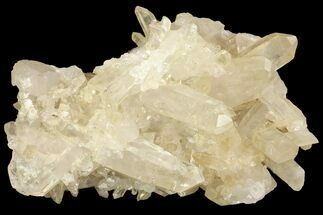 The lack of damage to the majority of the crystals on this cluster is incredible. 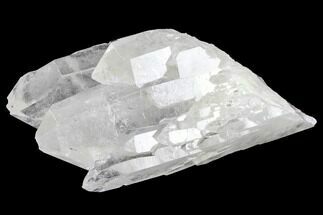 7.2" long, 3.8" tall, Longest crystal 3.9"